Bursting at the seams with food, tableware and cooking utensils, the kitchen is certainly a perplexing place to organise. 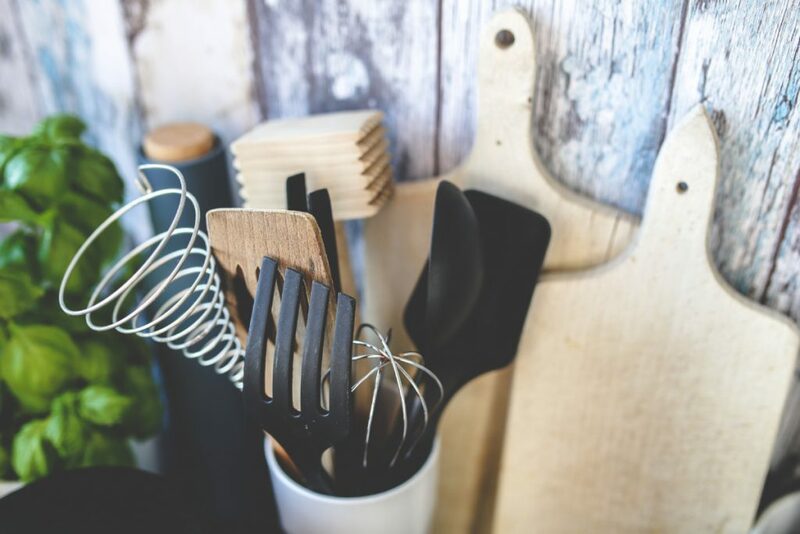 The key to making the most of every nook and cranny is identifying your own personal kitchen storage needs, so start by writing a list of the current contents of your kitchen. Then, when it comes to remodelling, a good designer will devise a layout that puts the necessary storage in all the right places, maximising the space to create a truly functional and efficient kitchen. Prevent precious space from being sacrificed by fitting clever corner drawers or cabinets. Easily integrated into the kitchen storage design, they feature a special pull-out, pivoting mechanism that curves around a corner. Secondly, when considering the drawers in your unit, go for slimmer drawers at the top for storing cutlery and utensils, and deeper ones at the bottom for plates and pans. There’s also plenty of hiding space beneath your cabinets, room for a bevy of cake pans and baking dishes, so maybe install a toe kick drawer to help you banish the chaos. Kitchen islands or peninsulas offer plenty of options for extra storage. Exposed ends are a great place for sneaking in some cookbook shelf space, or, more importantly, show-off your prized collection of vintages with a built-in wine rack. When it comes to casual dining in a narrow kitchens, swivel stools save floor space and are a quirky addition to the room. These stools are joined to the island and can be tucked under the counter when not needed, well out of the traffic flow. Also, an additional rolling cart makes for the perfect multi-purpose tool. Use one for transporting heavy dishes from the kitchen to the dining room or as a little extra counter space. Don’t leave the gap between your wall and base units idle, fill it up! Utilise blank wall space by mounting a pegboard to hang all your essentials, not only is this great for decluttering counters but you can even paint it to match your kitchen’s walls, so it neatly blends in. Hanging your indoor herb garden is another option if your kitchen lacks floor space. Not only does this spice up empty areas but it also means they are in easy clipping distance when you’re cooking. Just make sure to pick a spot that gets enough sunlight. Remodelling your kitchen and desperate to make the most of your space? Then contact Black Rok Kitchen Design now and make an appointment to come and see us at one of our two showrooms in Uckfield or Heathfield.